A-plusdriving is ranked 1,060,089 in the United States. 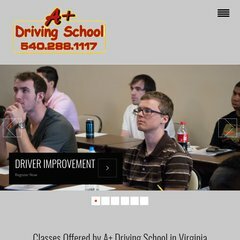 Topics: Services We Offer, Schedule Of Classes, Behind The Wheel, Behind The Wheel Forms, Drivers Education, and Drivers Education Class Schedule. ns39.domaincontrol.com, and ns40.domaincontrol.com are its DNS Nameservers. It is hosted by Theplanet.com Internet Services Inc (Texas, Houston,) using Apache web server. Its local IP address is 74.53.173.143. PING (74.53.173.143) 56(84) bytes of data.